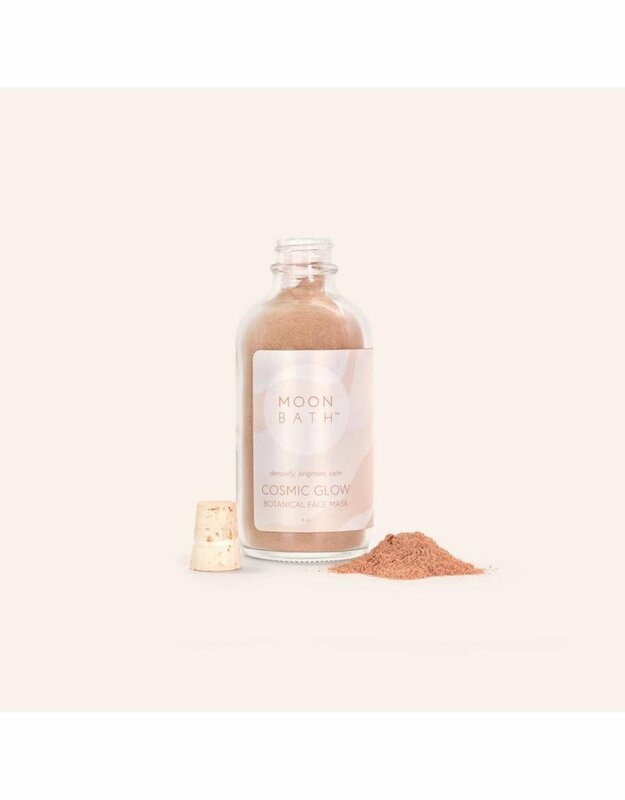 Combining purifying Moroccan Rhassoul clay with nourishing Ayurvedic botanicals, Cosmic Glow is a rejuvenating face mask ritual that enhances your natural radiance. 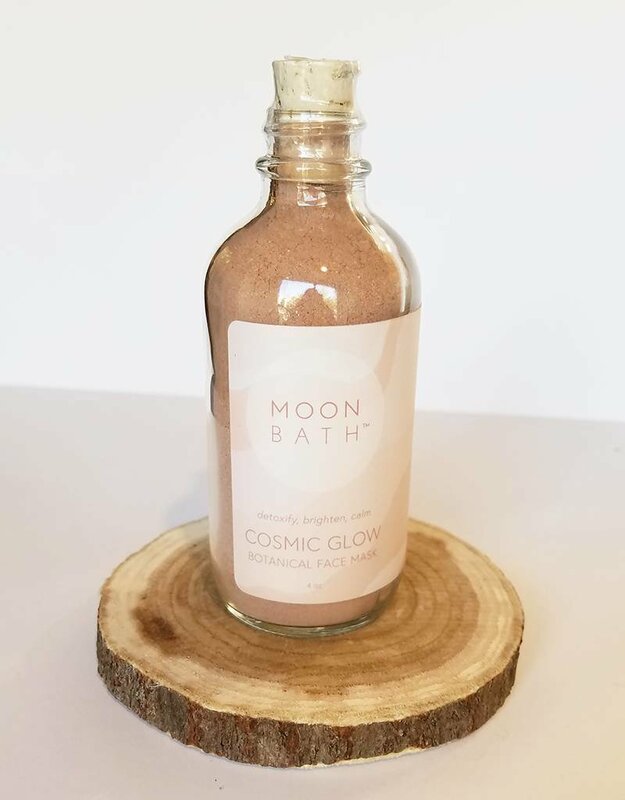 This healing clay mask is intentionally crafted to draw out toxins, reduce redness and inflammation, smooth uneven skin and brighten complexion. 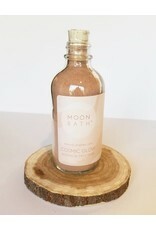 Triphala (amalaki, bibhitaki and haritaki) cleanses, brightens, nourishes and revitalizes dull skin. Manjistha detoxifies, clears excess pitta and calms inflammation. Anantamul cools excess pitta in the skin, thereby reducing redness, acne and sun spots. Guduchi, referred to in the Ayurvedic texts as "Divine Nectar”, is antibacterial, cleanses and nourishes the skin. Rose petals help remove excess dirt and bacteria from pores, heal the skin, calm redness and inflammation and uplifts the heart. 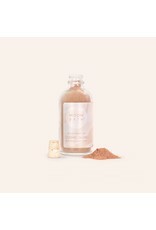 Mineral-rich Moroccan Rhassoul clay absorbs excess dirt and oil, extracts impurities from the skin, and nourishes with minerals of magnesium, silica, potassium and calcium.